We have owned Luxemburg Feed Service, Inc. since 1990, and our main priority is to provide our customers with the best feed experience possible. We are here to keep your animals productive and content, and therefore keeping you happy! Please feel free to email, call, fax, or just stop in and visit us. We are always pleased to meet new people and to visit with our customers. Luxemburg Feed Services is not just a business dealing with customers. We are a family, which our customers are the biggest part of. 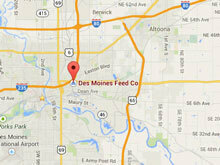 At Des Moines Feed, we specialize in Non-GMO feed for wild birds, pigeons, cage birds, and wildlife. 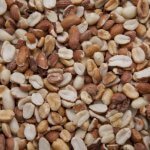 Many of our seeds are sourced from North America, while a few of the more exotic ones are from around the world. 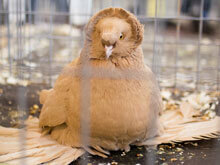 We have premium custom blends for pigeon racing, and sell bulk non-GMO commodities directly. For more product information please contact us. To order our great product in Wilmer and the Dallas metro, contact Hilltop Feed & Seed.